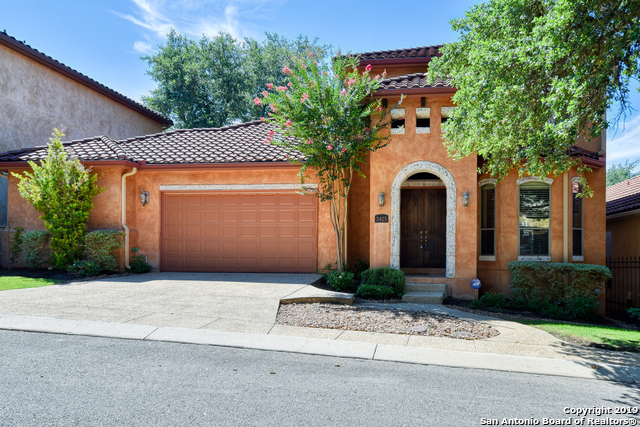 All MISSION OAKS homes currently listed for sale in San Antonio as of 04/22/2019 are shown below. You can change the search criteria at any time by pressing the 'Change Search' button below. "ALL THE BELLS & WHISTLES! 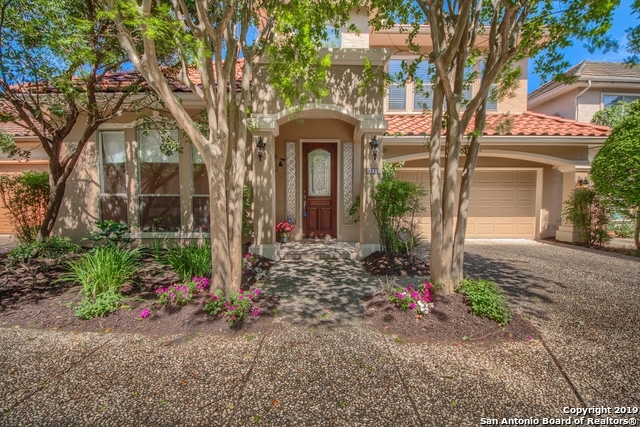 Gorgeous home in highly desirable gated community of Mission Oaks. Meticulously maintained inside & out!! Breathtaking curb appeal! Grand large single living area w/ fireplace. Fantastically large kitchen with island & incredible storage and counter space opens to breakfast bar & casual eating area. Lots of natural light! Exquisite formal dining area w/ built-in shelves for books or personal touches! No carpet in this home!!! Tile, wood, bamboo on stairs, cork ALL upsta"
"PRIVATE GATED GARDEN HOME AREA CLOSE TO MEDICAL CENTER. THE HOME IS ZERO LOT LINE FOR LOW MAINTENANCE. QUALITY BUILT RIDGEMONT CUSTOM HOME. WHEN YOU WALK THROUGH THE DOOR THE QUALITY IS EVIDENT. SOARING CEILING IN ENTRY & FAMILY ROOM. OPEN FLOOR PLAN WITH ISLAND. SPACIOUS MASTER BEDROOM WITH ADJOINING MASTER BATH WITH WALK-IN SHOWER, SINGLE VANITY, BIDET. VERSATILE ROOM UPSTAIRS CAN BE USED AS A GAME ROOM, ADDITIONAL FAMILY ROOM OR EASILY ENCLOSED FOR A 3RD BEDROOM. LARGE CLOSET PLUMBED FOR "
"Big open floor plan in this cute home. Located in the sought after On the Hill subdivision, close to private and public schools. Neighborhood part at the end of the street. Nicely decorated but could be changed to make it your own. The huge utility room could accommodate a craft or sewing area, Easy access to Lp 337 and HEB and shopping minutes away. Priced very reasonable for this neighborhood. Pictures soon."